When creating art it’s essential to be in a creative groove in order to let those creative juices start flowing. Artist and founder of VinoPaint, Sonya Paz is quite confident about playing music in the studio when she creates. When asked who are the artists that she likes to listen to for her creative process, her response was like a firecracker sparked. She says “you have to have the right playlist for the right style of art, this lends a helping hand and getting the creative juices flowing in the right direction”. She adds, “For me, it has to be high energy with a mix of classic rock, dance hits from the 80s, salsa, jazz and I like to collect remixes and mashups.” It’s these kinds of details and music choices that help also anchor some of the events that VinoPaint has to offer. 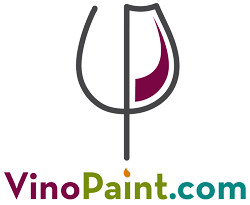 Since these events are social driven activities that rely also on the groove that everyone is experiencing, the creative MoJo along with the right tunes really help with the aambiance of VinoPaint. Music while creating is nothing new, we located this really great article by ArtProMotivate that polled 10 artists back in 2013 to uncover what they like to listen to and why. 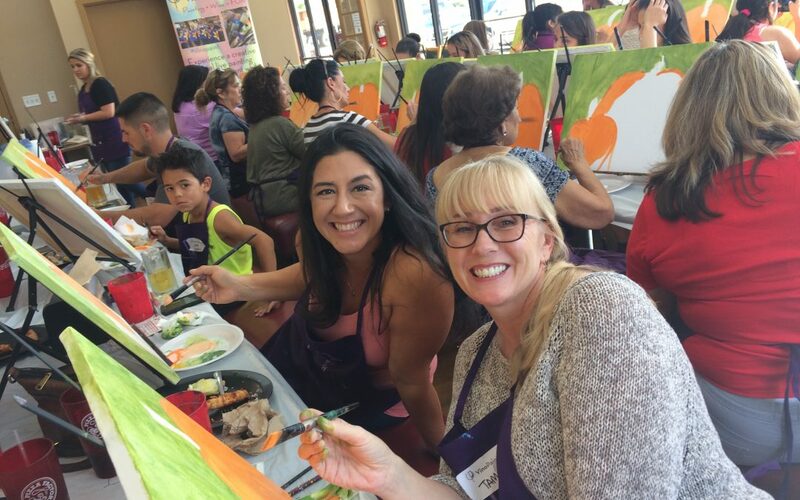 Embark on a fun and wild experience and sign up for a VinoPaint event and partake in painting, enjoying fine wine and food, along with a well thought-out playlist by artist Sonya Paz that will catapult you into a series of tunes that are sure to bring a smile to your face!